Tyler McCarville, Hastings. The sophomore goaltender, who is tied for the highest save percentage in the state (.953) and is fourth in goals-against average (1.33), gave up just one goal on 44 shots in a 3-1 win over Tartan on Jan. 12. Griffin Brovold, Bagley/Fosston. The senior forward, who is now third in the state with 26 goals on the season, exploded for six goals in a 6-5 win over Lake of the Woods on Jan. 8. Three of Brovold's goals were scored within the last five minutes of the third period — leading his team's comeback from a three-goal deficit. Brovold then scored the game-winner in overtime. Tommy Buell, Henry Sibley. The senior goaltender faced 44 shots in a Jan. 10 contest at South St. Paul. He posted a .955 save percentage in the 3-2 overtime win. Isaiah DeFoe, Prairie Centre. DeFoe faced a season-high 49 shots and gave up just one goal in a 2-1 win over Litchfield/Dassel-Cokato on Jan. 10. The junior goaltender was perfect the final 28 minutes of the game, allowing the North Stars to overcome a one-goal deficit. Lucas Jorgenson, Holy Family Catholic. Jorgenson tallied an impressive eight points (1 goal, 7 assists) in a 10-1 win over Waconia on Jan. 10. The Minnesota State High School League notes the eight-point game has been matched a handful of times but bested just once, by New Prague's Schuyler Adams with nine in 2009. Jorgenson's seven assists also tied a state record, most recently reached by two players in 2009. The junior forward is ranked third in the state in assists (28) and tied for seventh in points (39). Jeremiah Konkel, Southwest Christian/Richfield. The junior forward tallied his first multi-goal game of the season, as he scored five times in the Stars' 8-2 win over St. Paul Highland Park on Jan. 7. Konkel added an assist on the power play. Mike Koster, Chaska. 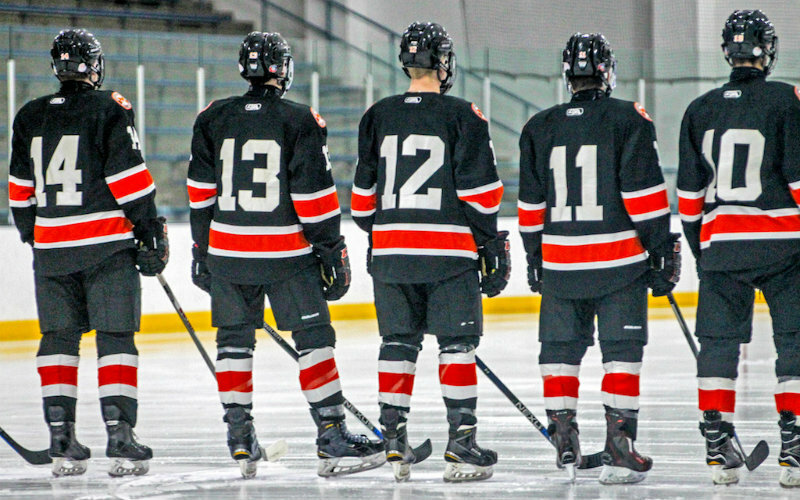 In an 11-1 victory over St. Louis Park on Jan. 10, the senior defenseman tallied six assists — a single-game mark tying for the fourth-most in Minnesota State High School League history. Zach Michaelis, Elk River. The junior forward recorded his second four-point game of the season in a 6-5 overtime win over Centennial on Jan. 12. Michaelis tallied a point on each of the Elks' final three goals in regulation before scoring a shorthanded goal in overtime to seal the win. Gavin Orr, Mora/Milaca. The senior forward led the Mustangs offense in a 6-2 win over Proctor on Jan. 8 — tying his season high in goals (3) and setting new season highs in assists (3) and points (6). Orr is ranked fourth in the state with 25 goals and fifth with 42 points. Logan Stellmach, River Lakes. Stellmach was dominant on special teams in the Stars' 7-3 win over Northern Lakes on Jan. 12. The junior forward scored twice shorthanded and added one shorthanded assist, one power-play assist and two more assists at even strength.